Your event app is about to change the way that you generate sponsorship revenue. Scaring up sponsorships used to be a tedious, tenuous process – but with an app it’s now measurable, repeatable, and about to cause you a lot less stress. Event apps have revolutionized the way organizers communicate with their attendees, so it makes sense that they should do the same for organizer/sponsor relationships. But we’ve been used to selling naming rights and giant banners, so there’s some nuance to this new digital world. If you play your cards right, the money generated by your app can pay for the app itself (and more). What exactly is an event app sponsorship? Well, that’s largely up to you. 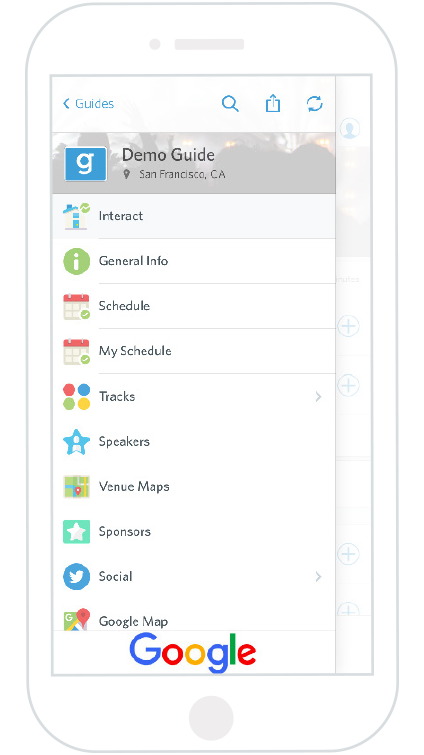 Your app is where your attendees are going to be returning time and time again during (and before and after) your event to get all the need-to-know information. Your sponsors can have as much or as little a presence within the app as you want to offer up. It could be as integrated as branding the entire app to your sponsor, or as organic as tracking a sponsor-related hashtag in your app’s Twitter feed. The name of the game for digital event app sponsorships is data. Unlike the sponsorship placements of the past, your app is constantly giving you and your sponsors hard feedback. If you’re able to harness those numbers, you’ll never need to scramble for sponsors again. Approaching sponsors can be the hardest part, but with an app the benefits are quite clear. Here are some considerations to make before you start making the ask. It’s the million dollar question, isn’t it? Pricing sponsorships can be a bit of an art form because, largely, a sponsorship is worth what the sponsor is willing to pay. With an app, however, keep in mind that you’re going to be able to attach very specific numbers to the placements you give to sponsors – which can be worth a lot more than more nebulous placements like a logo on a banner. Most sponsors are marketers in one way or another, and they’re going to want to understand what they got for their money and if it paid off (return on investment). If you can provide clear path towards understanding that – you’re right on track to offering up a fair price. If this is the first year you’ll be using an app for your event, it might take a little more convincing to bring sponsors on due to a lack of historical data. But don’t let this stop you! There are still some great ways to communicate the value an app will provide for sponsors. Show a proof of concept – Nothing is stopping you from creating an early version of your app to help a sponsor visualize what their placements will look like. Go ahead and slot in their logos for added impact! Share your adoption plan – Don’t be disheartened if a sponsor is a little skeptical about how you’ll get people to use your app. Just be sure to have your adoption plan worked out from the start so you can put their minds at ease. Bundle it up – Being your first year with an app, there are a lot of unknowns about usage and implementation. 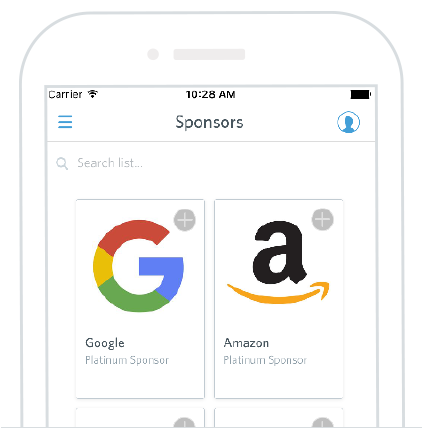 Mitigate risk for the sponsor by bundling app sponsorship with more traditional placements. Make it a collaboration – Be honest about the fact that you’re trying this out for the first time. If you offer to work with your sponsor to creatively implement their sponsorship, they’ll be more invested, and likely happier with the final outcome. Once you’ve totally knocked your event app out of the park your first year, you’ll have more of a leg to stand on when it comes to approaching sponsors in Year 2 – and that leg is data. By offering up the cold, hard data on your app it will become abundantly clear to potential sponsors as to why they should be buying and event app placement with you. Think about when you’re spending money – you want predictability, right? Knowing what you’ll get for you money makes spending that money a little less painful. It’s the reason there’s a McDonald’s in every town in America. No matter where you go, you know what to expect. Depending on the size of your event and the engagement levels of your crowd, you might also be able to move away from bundling your event app placements with other sponsorship options and start selling placements within your app a la carte. As a result, you’ll be able to price individual sponsor placements accordingly. Delivering numbers of impressions and clickthroughs to a sponsor after an event is great – but it’s not exactly helping them get the most out of their sponsorship. The best part about an event app is that it’s dynamic and offers up valuable information during an event. If you have the luxury of reacting to your audience based on event app metrics during your event, imagine the value your sponsors will find if they’re able to do the same. Take advantage of your ability to collect attendee feedback with an in-app survey in order to offer up insights to your sponsors. They’ll be in love with the unprecedented amount of information they’re getting to help them make the most of their spend. It could be as simple as asking the crowd to rate their experience interacting with a specific sponsor’s booth team and passing the information along. If things are going well, they have something to celebrate. If there’s room to improve, they can change on the fly as opposed to wondering what went wrong two months down the road with no conversions. Send a push notification to all your event app users that thanks the sponsors and mentions them by name. Deliver their engagement metrics in a personalized email. Mix in a little commentary and some anecdotal measurement along with the hard numbers. Offer them first shot at (and a discount on) next year’s placements. They’ll be honored, and you’ll get an early start on securing revenue. If your event app is the central communication channel during your event, it’s easy to see how it can quickly become one of your most valuable sponsorship options. And if you get creative, there are a number of ways to use different parts of your app to generate sponsor dollars. 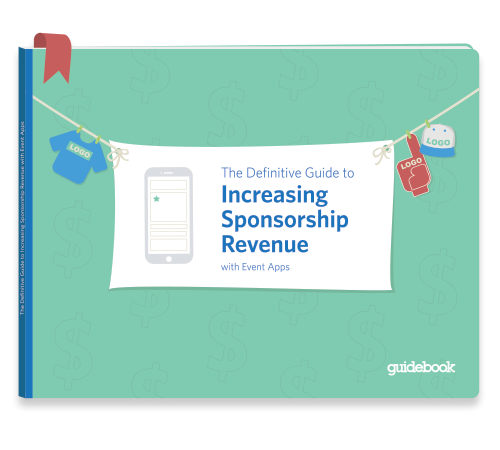 For a look at the 9 ways you can optimize your event app for sponsorship, download our helpful eBook – The Definitive Guide to Increasing Sponsorship Revenue with Event Apps.